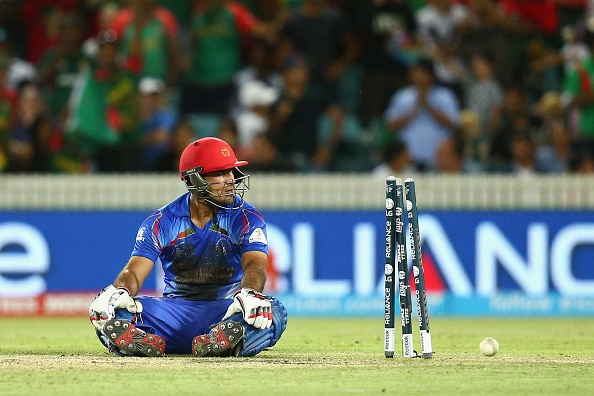 The Afghan fairytale hit reality when they were crushed by 105 runs in their Group A World Cup match by Bangladesh in Canberra on Wednesday. While the romantics applaud the fact that the team from the war-torn land did superbly well even to make it to the showpiece event, the occasion got to the players and their inexperience showed. They started well enough, restricting the Bangladeshis to 119-4 after 29 overs, when Shakib Al Hasan (63) and and Mushfiqur Rahim (71) combined to push Bangladesh to a respectable 267. Afghanistan also suffered a blow when legspinner Samiullah Shenwari was forced out of the bowling attack after just seven balls when he received a second warning from the umpire for following through on to the danger area. The Afghan chase died at the start when they were reduced to 3-3, two of the wickets going to Mushrafe Mortaza. They were never able to raise the tempo enough to challenge the Bangladesh total. While the Australian selectors ponder who to drop to make a place for returning captain Michael Clarke against Bangladesh on Saturday, a tropical cyclone could make the debate redundant. Australia are set to change the team that thrashed England in their World Cup opener provided are no late setbacks in his return from a hamstring surgery. Up to 300mm of heavy rain set to hit the south-east region in the lead-up to the match due to a cyclone forming off north Queensland. ‘We’ll work out what the best 11 is if the weather clears up,’ said coach Darren Lehmann. 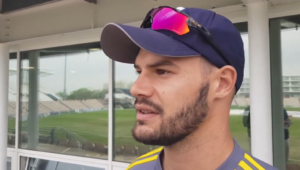 ‘It might be different with overcast conditions and we might decide to play a different way, and it depends on the wicket.’ One of those ways is to play an all-seam attack. The striking rhythm of the reserve fast man Pat Cummins in the nets certainly would have given Lehmann and the selectors some food for thought. While it is widely expected that George Bailey will make way for Clarke, room for Cummins would have to be found by dropping an allrounder, perhaps Shane Watson. Zimbabwe took heart from their gutsy display against title contenders South Africa and will try to be ‘ruthless’ against the United Arab Emirates on Thursday, captain Elton Chigumbura said. Zimbabwe had the Proteas reeling at 83 for four before being put to the sword by a world record fifth-wicket unbroken stand of 256 between David Miller and JP Duminy. They were 214 for three and well set to push on for the final 15 overs in their chase of 340 before losing a flurry of wickets to be bowled out for 277. ‘It was a bit of both, a confidence boost the way we played, and obviously it’s always disappointing to play the way we did for 90 overs but we didn’t manage to finish off the last 10 overs,’ Chigumbura said. ‘We took a lot out of the game we played and hopefully we can carry on with that form. Playing the first game gave us the opportunity to try and correct where we went wrong from the first one.